WBC’s branding and personalisation service is the most cost effective way to overprint your brand, logo or corporate identity onto packaging, without the hefty price tag of going bespoke. Here are 5 Reasons your business should be personalising your gift packaging this season. There’s a reason why desks are full of pens branded with company names and logos. Your brand is the butter to your bread; it’s your face and identity. When we see a name or logo and recognise, it becomes much more than just words. In terms of marketing and promotion, branding your product, silently speaks of your reputation and quality. It carries with it huge value messages that people learn to associate with you and you alone. For small independent retailers, standing out from the competition is essential. And using branded gift packaging no longer has to cost the earth. 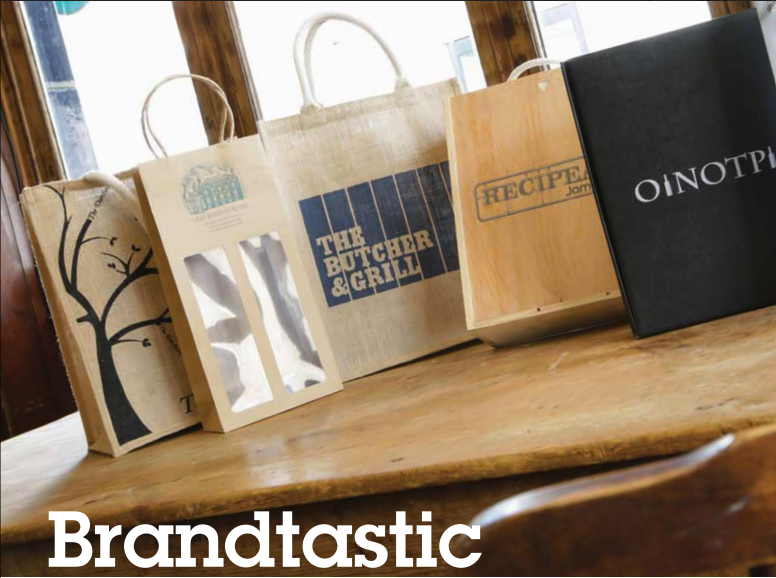 Most of the products in the WBC range can be over printed, from wholesale gift boxes and card cartons to wooden boxes and ‘the promotional pen’ of the food and drink world – the ‘bag for life’. Minimum order quantities vary, but start from as little as 50 pieces, and a very efficient ten day turnaround. We’ll help you through the process managing it every step of the way. Overprinting plain stock product is a cost effective way of having your own branded gift packaging but without the huge price tag that bespoke packaging can incur. Simply choose your favourite off the shelf gift box, wooden box or even ribbon direct from stock at wbc.co.uk and we’ll print it with your company, name, logo or message. Wholesale gift boxes start from just £0.59 a unit. Add on your print cost (from just £0.79 a piece) and you could have you own branded gift packaging for as little as £1.38 a piece. Did you know, our print runs start from just 50 pieces? Our low minimum orders mean you’re never committed to large stock holdings. In fact, if you’ve yet to discover the benefits that branding can bring to your business, why not try it out this Christmas? At just 50 units, it could pay off to give it a go and top ups won’t break the bank. Short lead times and quick turnarounds makes the process of personalising your gift packaging efficient and seamless. Our friendly sales team led by our production manager Caitlyn Smith, will help manage your project every step of the way. Overprinting takes about 7-10 days, although at Christmas time it pays to leave a little extra time. Personalisation is great for add on sales! What businesses are giving out seasonal gifts to employees? Does a business you know send out promotional gifts and incentives? Are there corporate events or festivals coming up in your area? Overprinting just went digital but without the designer price tag. Print in FULL COLOUR, from just 50 units with our new UV digital printer that makes printing your boxes & gift cartons affordable, attractive and ridiculously simple. Pick your product, send us your logo & you’ll receive your finished product in just 10 days. Go on, your brand deserves it!